Can Workforce Development Close the Skills Gap? (Adapted from article in Industrial Machinery Digest) – In an effort to close the growing national skills gap, some manufacturers are taking it upon themselves to generate their own talent pipeline by partnering with local school districts, community colleges, and nonprofits in the form of technical training programs designed to fill badly needed manufacturing positions and give the next generation a better shot at the American Dream. Technical training partnerships generally consist of programs designed to provide high school students with manufacturing technical skills, while simultaneously connecting them with local manufacturers in their area to obtain hands-on instruction and build relationships with potential future employers. In order to see how these programs actually operate, we can take a look at a real-world example of a technical training workforce development program in action. 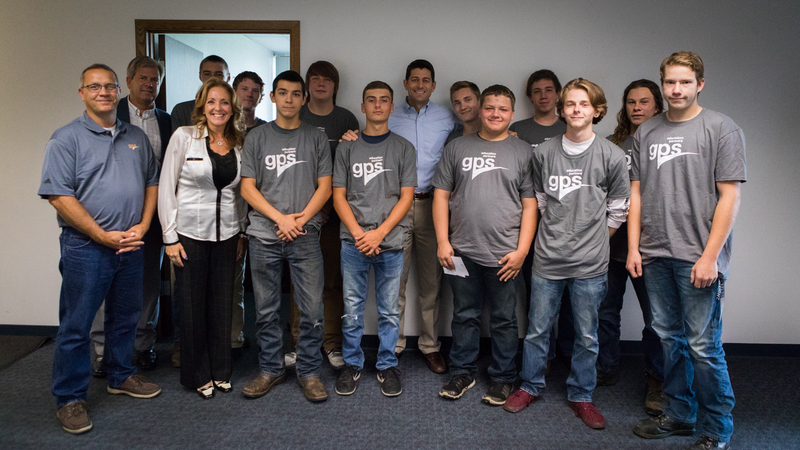 Milwaukee-area machined parts manufacturer, Allis Roller, has decided to take a more active role in closing the skills gap by partnering with GPS Education Partners, a Wisconsin-based Department of Workforce Development Youth Apprenticeship Program. The nonprofit has been linking area manufacturers with local educational institutions since 2000, allowing high school students to obtain tuition-free technical training while working at local manufacturing companies. Allis Roller is one of several enthusiastic program participants allowing local high school students to take technical training classes at their facility while working as apprentices for the company. The technical training classes offered at Allis Roller are part of a curriculum created by GPS, which is designed to fit into existing secondary education requirements. The time student program participants spend outside the classroom on Allis Roller’s shop floor provides them hands-on experience with CNC Machining, welding, and complex machined parts manufacturing. By the time they graduate high school, these student-apprentices are immediately employable in well-paying manufacturing jobs and receive a MSSC Certified Production Technician Certificate. So what are the benefits for Allis Roller in contributing resources towards the education of teenagers? The most important benefit to manufacturers seeking to build up the national talent pipeline is exposure. Currently, 94% of high school students report that they are uninterested in manufacturing careers due to a lack of exposure to the field. However, more than 80% of GPS program graduates end up pursuing technical careers and 62% are employed in manufacturing once they have learned what the industry has to offer them. According to Troy Wolfson, a GPS program graduate, he learned about the training opportunities available through the GPS-Allis Roller Partnership after a friend “spoke highly of the program.” Though Wolfson had never previously considered a career in manufacturing, the experience he gained at Allis Roller has peaked his interest in global manufacturing, and now he intends on seeking out additional education and career growth opportunities in the manufacturing industry. The more manufacturers pair up with their local education systems to provide technical training to students, the more they help to build up a talent pipeline that the entire community of US manufacturers can collectively benefit from. Individual investment on the part of manufacturing businesses is essential, because protecting the future of American manufacturing is going to take a village. Neither the student nor the manufacturer are obligated to continue their relationship after the program concludes, but the manufacturer is free to hire students full time when they complete the program. That creates a mutually beneficial model where essentially there is an extended trial for both parties; students get to know the company, companies get to watch a student learn and grow. For manufacturers struggling to fill skilled positions and attract talent, mentoring students through technical training programs may help them train and retain a skilled workforce more efficiently than existing recruitment strategies. Kids like Troy are already planning for their future, and they fully understand that the manufacturers they’re working for can help launch their future. As a result, behavioral issues are rarely a problem. These additional workforce development efforts help provide upward mobility to motivated employees and a more cohesive workforce. Classes include learning software, technical skills, supervisory skills, and more. Enhanced morale and motivation absolutely have a measurable impact on the overall success of a manufacturing company, and improve the quality of one’s existing workforce. While beginning any program can be daunting, Allis Roller has found it worth the effort, and several neighboring companies in the Franklin Business Park have followed suit. The Franklin Business Park Consortium has made workforce development one of its pillar initiatives, and these types of programs are high on their radar. These participating companies see what GPS Education Partners has known for years – this type of technical education is the answer to the nation’s skills gap. With more companies coming onboard each year, GPS has aggressive growth goals. There are about 200 participating students this year, but they are on track for that number to be 1000 in three years, and their goal is to reach ten thousand by 2028. Though closing the skills gap and attracting talent remains a daunting prospect, it’s becoming increasingly apparent that individual manufacturers will have to start their recruiting efforts long before they need to fill a position in order to get more students interested and qualified to enter the industry. Companies like Allis Roller have figured that out, and their participation in workforce development technical training partnerships with GPS are just one example of how the manufacturing industry can compete with white collar industries for the future generation’s labor force. After all, universities spend countless resources recruiting and attracting students. With the right strategy, manufacturers can cut through the lure of campus life by showing that technical training provides just as much of a promising future.